It's a Scrappy World: 3-11 New Release at Bugaboo Stamps! 3-11 New Release at Bugaboo Stamps! It's New Release Day today, and all of us at Bugaboo Stamps are so excited! This is the day when Jodie releases BRAND NEW digis in the Bugaboo Stamp Shop! Check out my sample below using one of the super cute digis from todays release, Dragonflies then go to the Bug Shop to nab em all for yourself! You'll be so glad you did! Super CAS! Love the bling! Very pretty! I love the sparkle on the dragonflies! Thanks for joining us at Use Your Stuff this week and I hope you will play along with us again. Clean simple and really fabulous! I love the colors and the shine on your dragonflies! Thank-you for joining us at the CardsGaloreEncore Challenge #3 Use Stamps or Digi. Adorable card! So glad you joined our Anything Goes challenge at Glitter n Sparkle. Wishing you the best of luck in our draw! 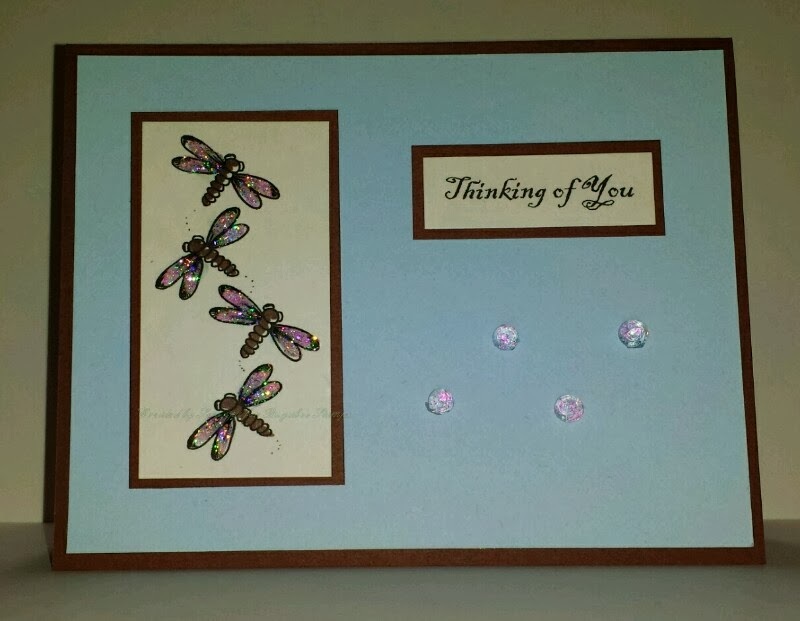 Love how you glittered the dragonflies, and how you matted the paper pieces, so pretty ! Thanks for playing along with us at Use Your Stuff ! Lovely card, I love the sparkle! Thanks for joining us at The Corrosive Challenge Blog!Hugs! Beautiful Dragon flies! Lovely card, thanks for sharing with us over at Through the Purple Haze Challenges. 3-31 Abac Monday with Bugaboo Stamps!